One of the biggest challenges of running a pub is finding the time to juggle the many different tasks involved. This article looks at how a good pub EPOS system can help you do more in less time. Who knows, you may even be able to take a day off! With a cloud EPOS system, you can view all of your data from anywhere. Whether at home or on the road, you can see how that new menu item is selling, find out how a function went, or see who’s clocked in for their shift. Keep a handle on your key figures in less than a minute each week. Daily, weekly, or monthly email reports will tell you at a glance if sales are up or down, what is selling well, and as importantly, what isn’t. In order to correctly track stock movements, EPOS systems for pubs need detailed information about each products you sell. You need to specify the units you buy stock in, the measures you sell the product in, the supplier you order it from, and more. This can take up valuable time, and any mistakes can take up even more of your time when they show through as issues on your stock take. An well designed pub EPOS system can cut this to a fraction of the time and minimise mistakes by offering predefined templates for your common products. Then when you add a draught beer or bottle of wine, all you need to enter is the name, cost price, and sale prices. The rest is done for you. 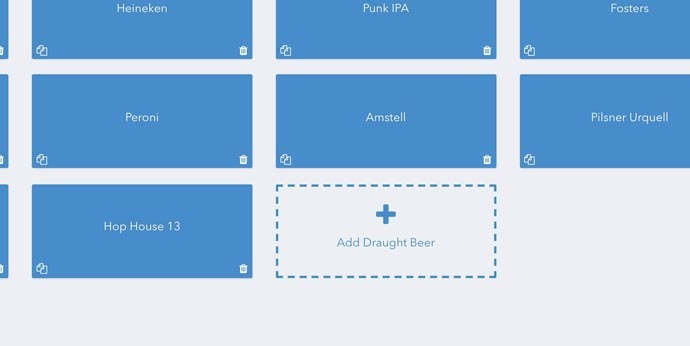 If you order unusual size kegs or sell beer in schooners, you only need to amend the template and then every product you add will automatically have the set up you need. You know how important it is to know your margins on your menu items, but maintaining costing spreadsheets is time-consuming. A good pub EPOS system will enable you to add your recipes against every dish or cocktail and automatically calculate the cost and gross profit. Working out what to order from suppliers isn’t overly complex. Estimate how much you’re likely to sell before your next order and then adjust this for what you already have in stock. For one product this doesn’t take long to do, but for every product, from every supplier, every week, it really eats into your valuable time. With a good pub EPOS system, this can all be done for you. Your EPOS knows how much you’re selling and what you have in stock and can use this information to show you what you need to order. You may need to make some adjustments for a big booking or event, but this still takes a fraction of the time it takes to work out an order from scratch. To save even more time, instead of picking up the phone, have your EPOS email your order straight to your supplier. These are just some of the ways BarTab EPOS can free up some time so you can invest it elsewhere in your business or spend it with friends and family. If you would like to find out more, just contact one of our team.